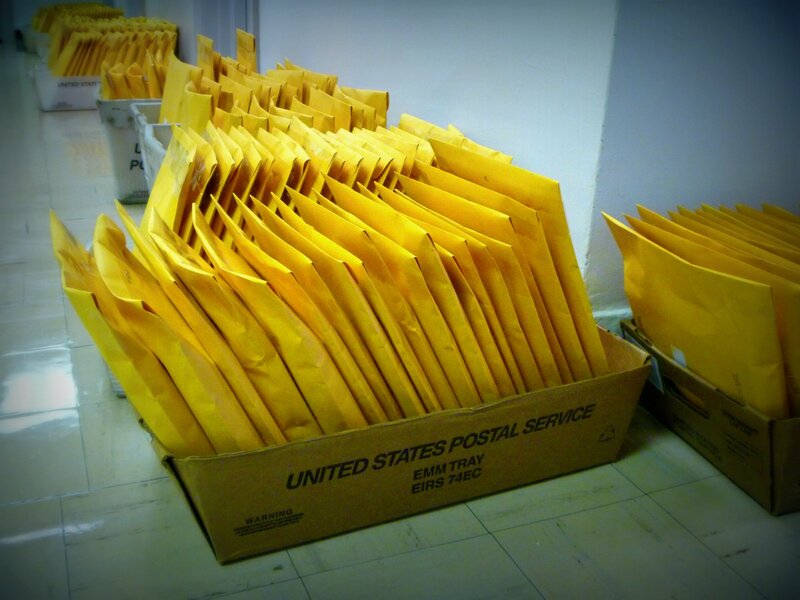 50th Anniversary Issue Tumbleweeding Now! 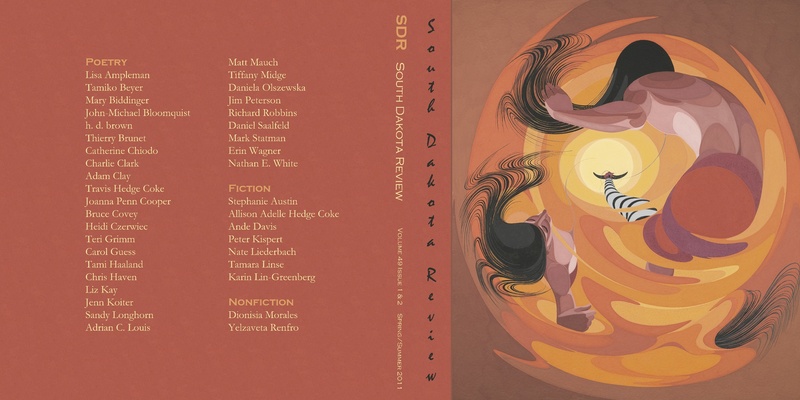 To celebrate 50 years and the many hundreds of talented writers SDR has featured since John R. Milton got us started in 1963, the staff has been working on a whopper of an anniversary issue: 61 contributors, 328 pages, and some jaw-dropping cover art (above) from Ward TwoEagle. 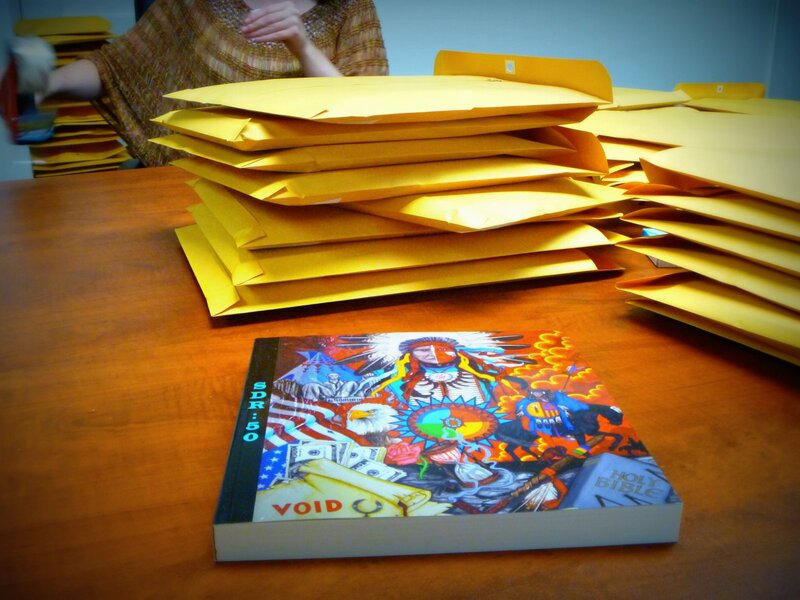 It all adds up to three seasons’ worth of poetry and prose from some of today’s best artists writing from and about the American West, and it’s arriving in your mailbox soon! Here’s the view from Dakota Hall over the weekend. 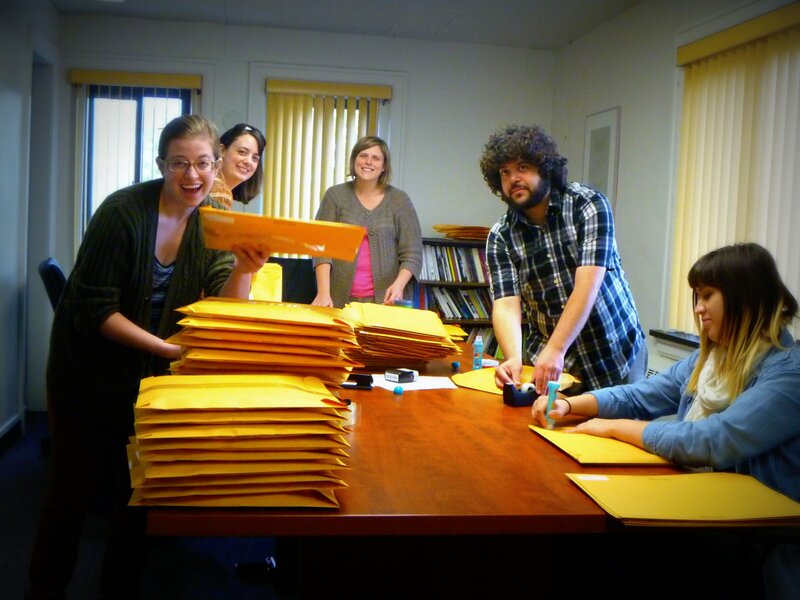 Above, from left to right: assistant editor Niki Ciulla; artistic director Holly Baker; managing editor Sara Henning; associate editor David Levine; and intern Breanna Bietz. As you can see, our ambitions for the next 50 years are growing faster than ever. Reader, would you consider asking your local library or bookstore to stock SDR, or showing your support for what we do in other ways? “LIKE” us on Facebook, and share the love! Posted on October 21, 2013 October 21, 2013 Author rbmorenoCategories Essay, Fall/Winter/Spring 2012/2013, Fiction, PoetryLeave a comment on 50th Anniversary Issue Tumbleweeding Now! Posted on October 14, 2011 October 16, 2011 Author Lee Ann RoripaughCategories Essay, Fiction, Poetry, SDR Authors, SDR News, Spring/Summer 20113 Comments on Spring/Summer 2011 Issue of South Dakota Review is Out and About!